Angie in T.O. 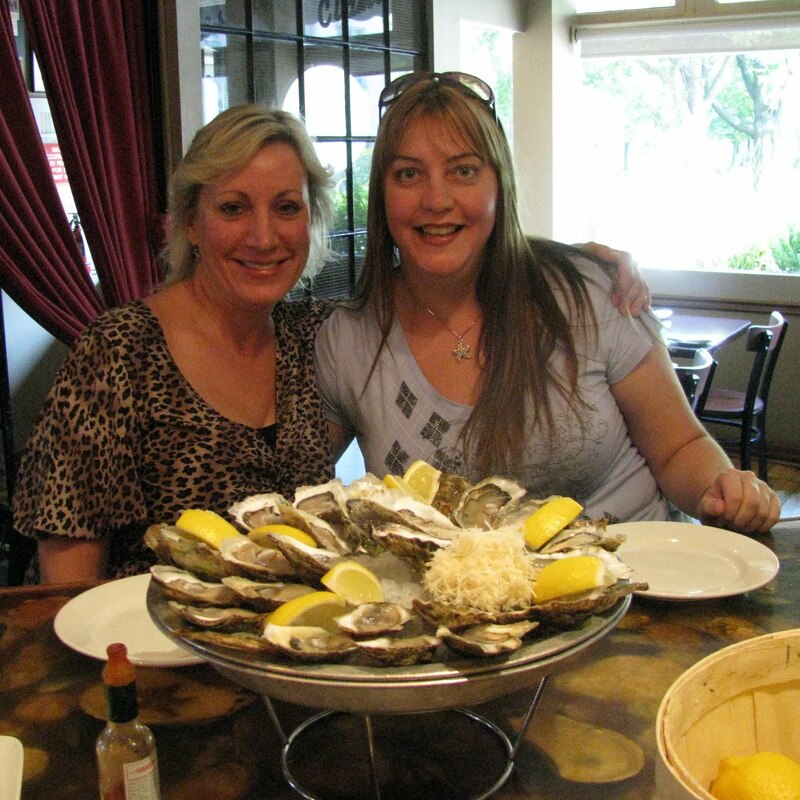 : FOODIE FRIDAY - OYSTERS! Judy and I getting ready for a feast of oysters! Last night I made my second visit to Starfish Oyster Bed & Grill with my friend Judy. I discovered this little gem of a restaurant with my friend Anita during "Summerlicious" this year. I knew then that this was going to become a restaurant that I would be returning too. Judy met me after I got off work and we went for a feed of oysters followed by an early dinner. We sat at the bar for our oyster feast and then moved to a table for our dinner. I like that they offer such a variety of oysters, as it's fun to try new kinds. I had a few from the UK that were much larger with a more "gamier" taste. Judy likes the smaller ones, mostly coming from the East Coast, which I really enjoy too. I really need to start paying more attention to the ones that I really like, so I can remember the names of them for return visits or when I'm somewhere else that serves oysters as well. Our shucker, Bruce, who was friendly and knowledgeable. They there are! This was our first round, we had more at the dinner table. The bar is beautiful, a clear top covers shells and starfish resting on authentic PEI red sand. I think the next time I'm there I'm going to pick up the book the owner wrote on oysters and learn a little more about them. Judy has bought oysters and shucked them herself and I am looking forward to being invited over to her new place when she's settled for an oyster and wine night. Dinner was delicious too. I had lobster bisque followed by a rib-eye steak with frites and coconut cream pie. While Judy had a tomato and mozzarella salad followed by duck breast with a chick pea side and creme brulee for dessert. 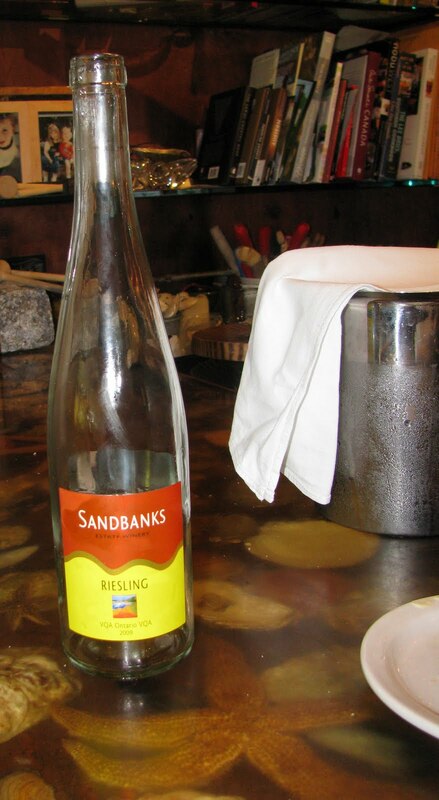 We enjoyed 2 bottles of this wonderful Riesling made right here in Ontario. As wonderful as dinner was, I wouldn't be surprised if the next time we go we just sit at the bar the whole night eating oysters and drinking wine! Coconut cream pie ... yum!